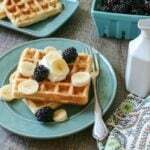 A Mind “Full” Mom’s Top 2017 Recipes: The most popular posts of the past year. You spoke, and you want Wholesome Comforting Family Meals!! Can you believe 2017 has come and just about gone?! I am still a bit stunned that the year is nearly over and 2018 is just around the corner. What I am not surprised wih is the fact that you all made it clear you LOVE easy, family-approved meals. Check out your Favorite From Scratch Comfort Foods. Who dosen’t love a good pasta bake? Baked pasta is one of the most comforting family-meals. And my Baked Rotini is made with only 5 simple, wholesome ingredients, making this one easy family meal to get on the table! 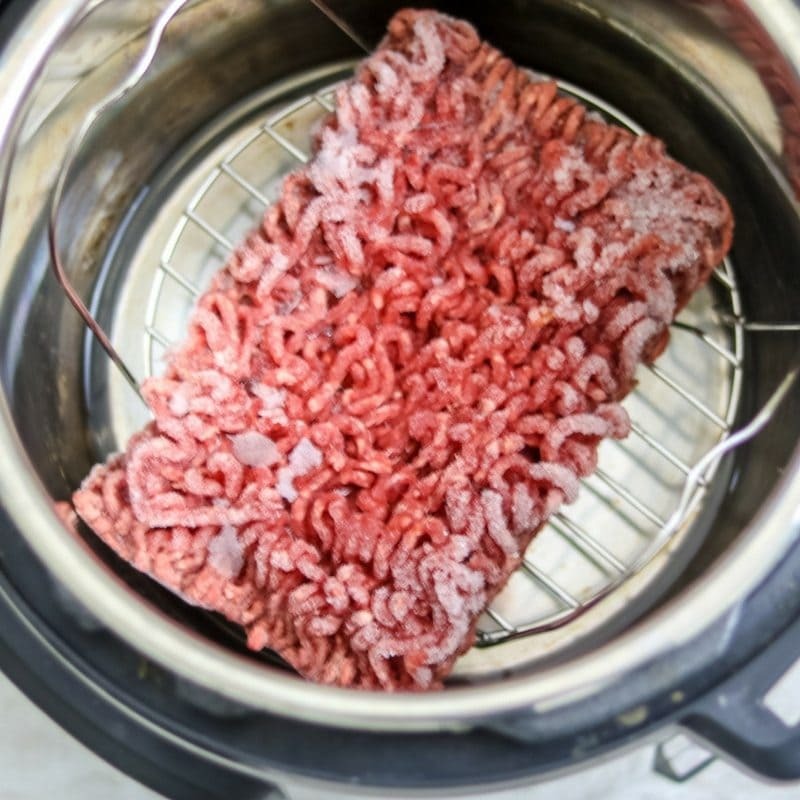 I blew all your minds when I showed you how to cook FROZEN ground meat in the pressure cooker. It comes out perfectly every single time! 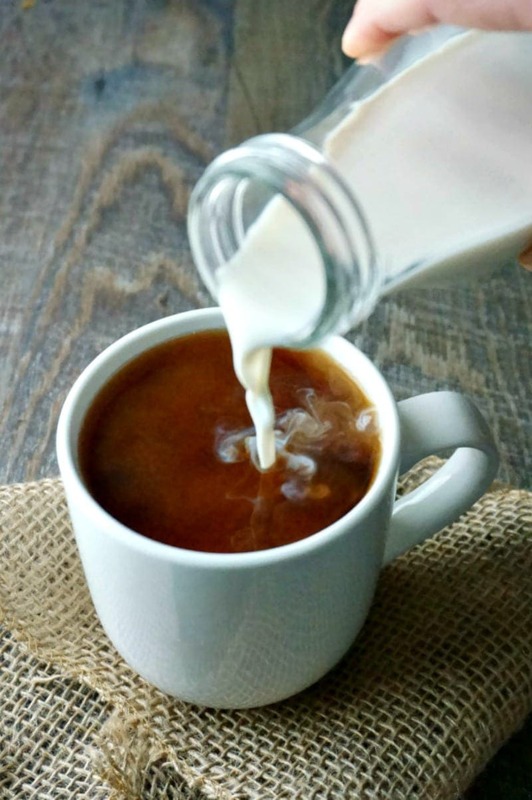 This 3 Ingredient, Paleo Coffee Creamer is the only recipe that made the Top 10 that was not a main course. But I can’t blame you for loving this creamy Coconut Vanilla Coffee Creamer. 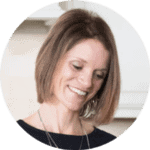 It is easy to make and perfect for dietary restrictions. 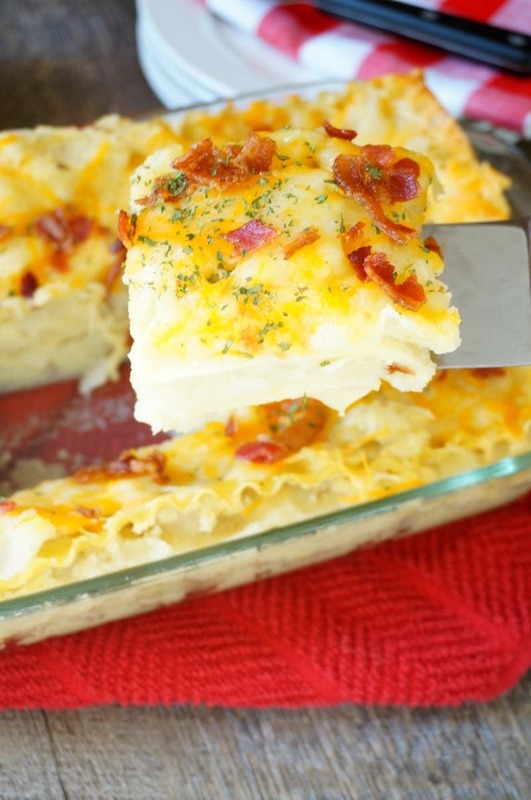 Leftover mashed potatoes SHINE in this easy Pierogi Casserole. It is the absolute BEST way to use leftover Mashed Potatoes. 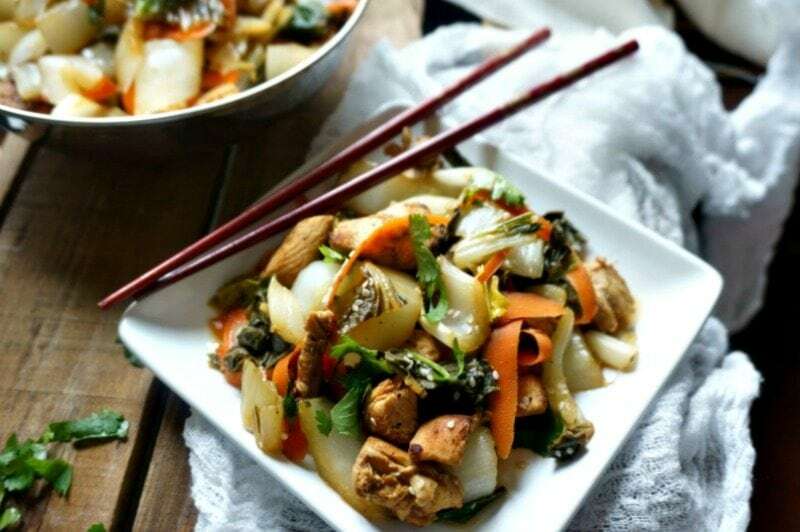 15 minutes is all it takes to get this Chicken and Bok Choy Stir Fry on the table. And it is one of the BEST ways to get extra veggies into your diet–including some new veggies like Bok Choy, you may not have tried yet. Slow cooker meals are the best–right?! You have to love when you can dump a bunch of ingredients into the crock-pot and dinner is done. 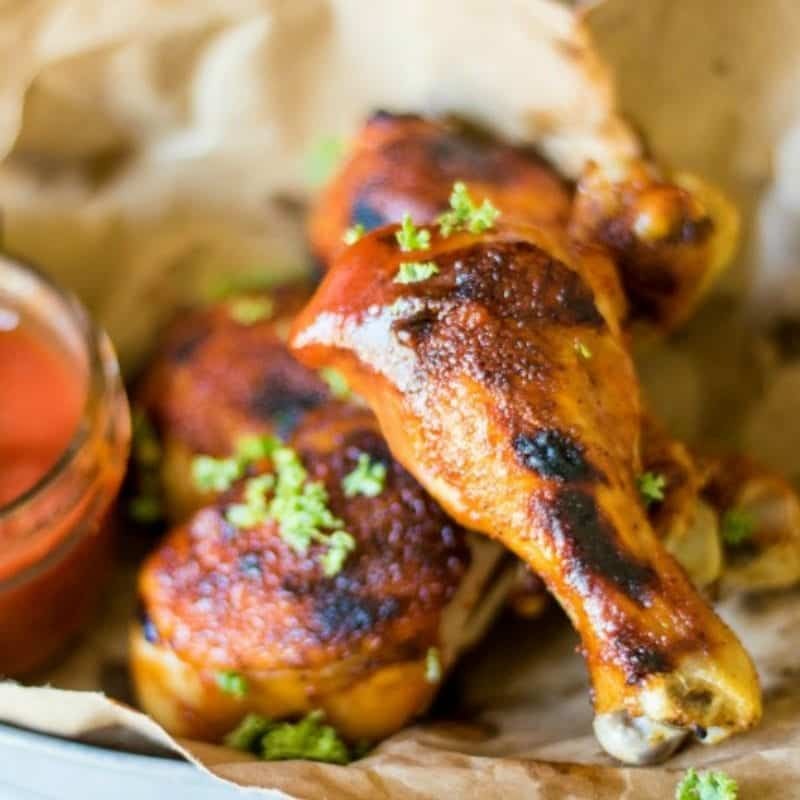 These easy, BBQ Chicken Drumsticks are a winner in my house and a winner in yours as well!! Barbeque drumsticks are great for parties, BBQs, or just family dinners. There is ABSOLUTELY no reason to purchase another Rotisserie Chicken again. 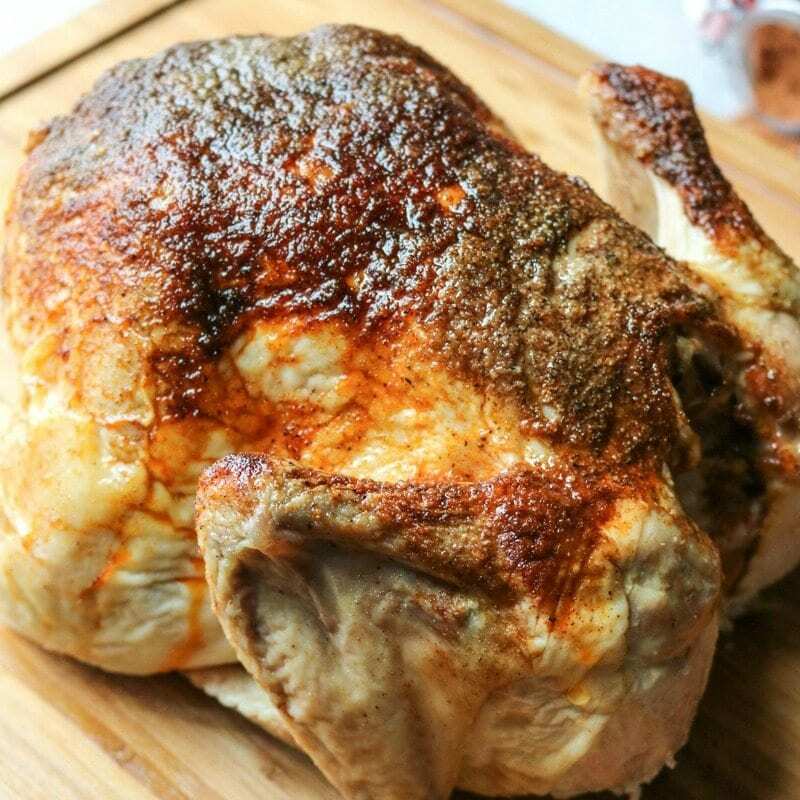 With a simple rub and easy technique, you can have a quality chicken that is made with wholesome ingredients and tastes just as good, if not better, than a store-bought Rotisserie Chicken. 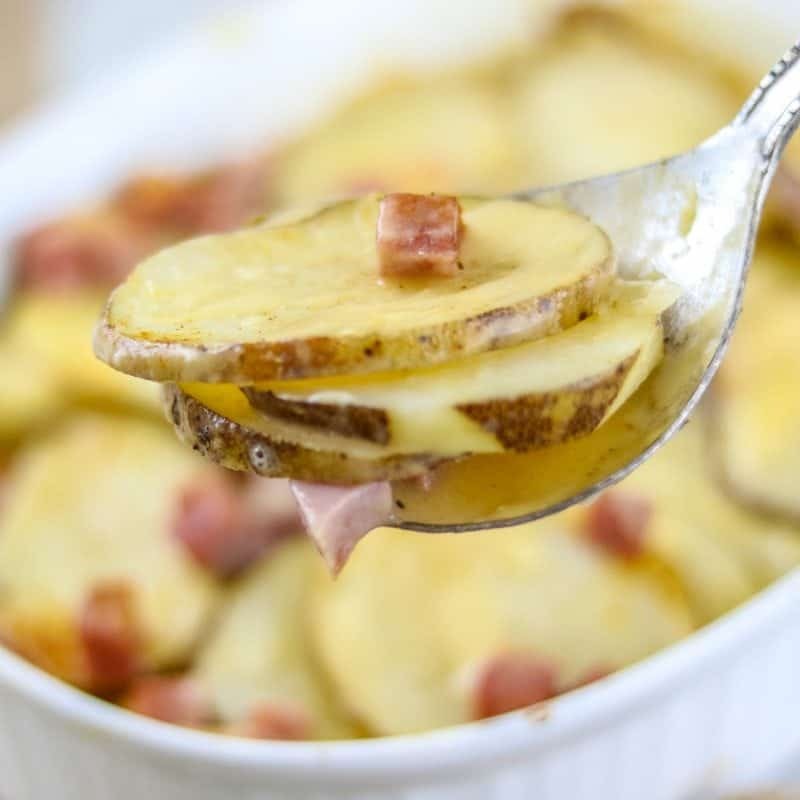 Tender potatoes, salty ham, and creamy sauce all baked to perfection. This Comforting dish is made a bit healthier with less butter, sodium and cheese than most recipes. After one bite, you will be declaring this meal a must anytime you have leftover ham. Fresh or frozen, I walk you through how to make the PERFECT chicken breasts in the Instant Pot. Whether you want chicken for slicing or shredding, I have you covered. And you don’t want to miss my secret ingredient that makes this chicken incredibly flavorful. Creamy Cheesy Chicken and Rice has been your favorite for 3 years in a row–and how can it not be?? I have never met a person who dosen’t fall in love at first bite. 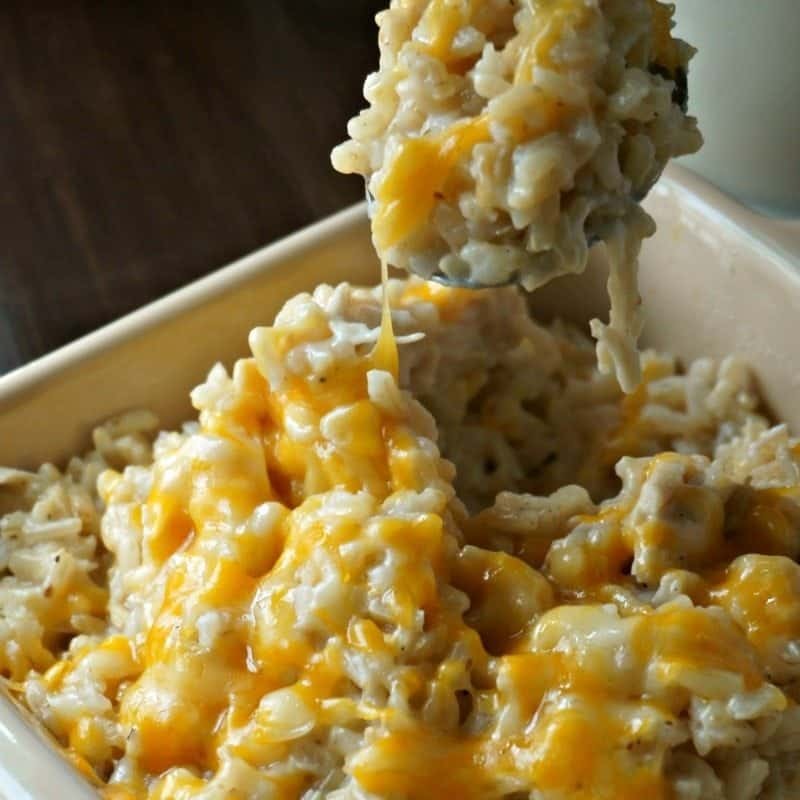 If you have not made this easy chicken and rice casserole, stop what you are doing right now and make this!! Your stomach and your family will thank you! Didn’t see your favorite listed? A few others that made the top of the list were: Pork Carnitas, Slow Cooker Steel Cut Oatmeal, Sweet Potato Casserole, Pizza Meatloaf, and 5 Ingredient Pot Roast. 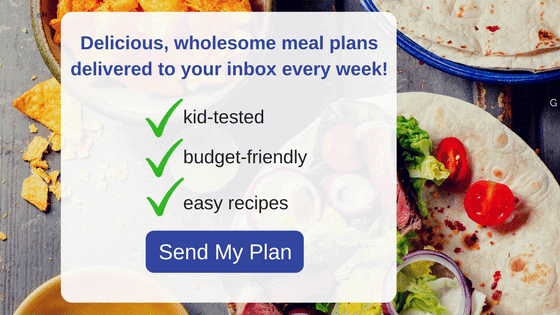 These are finger-licking and nourishing meals!